MUSIC | Leon Bridges is a soulful singer and songwriter from Fort Worth, Texas, with a guitar and a sincere voice. His single, "Coming Home," has a 1960s flair and Sam Cooke rhythm, which made Spotify's viral list within a month of being released in February. His debut album with the same title was released this summer. 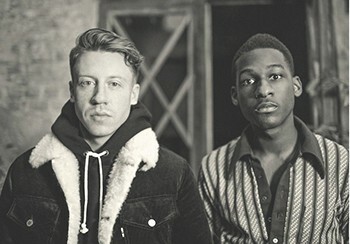 Bridges is also featured on Macklemore and Ryan Lewis' new song "KEVIN," a mournful, grieving track combining Macklemore's passionate lyrics about an overprescribed nation with Bridges' bluesy, soulful touch. VIDEO | A trio of teenage girls from the Los Angeles area have taken to spoken word to express a message about what they learn and don't learn in school. The girls build powerful poetry with anecdotes about books being banned in schools, and controversial topics from guns to sexual assaults that aren't talked about because they make people uncomfortable. They're a part of a program called GET LIT (getlit.org; not associated with the local literary festival) which teaches literacy to students through poetry. A similar program with the same goals in the Inland Northwest is Eastern Washington University's Get Lit. Lean more about the local program at http://getlitfestival.org/.